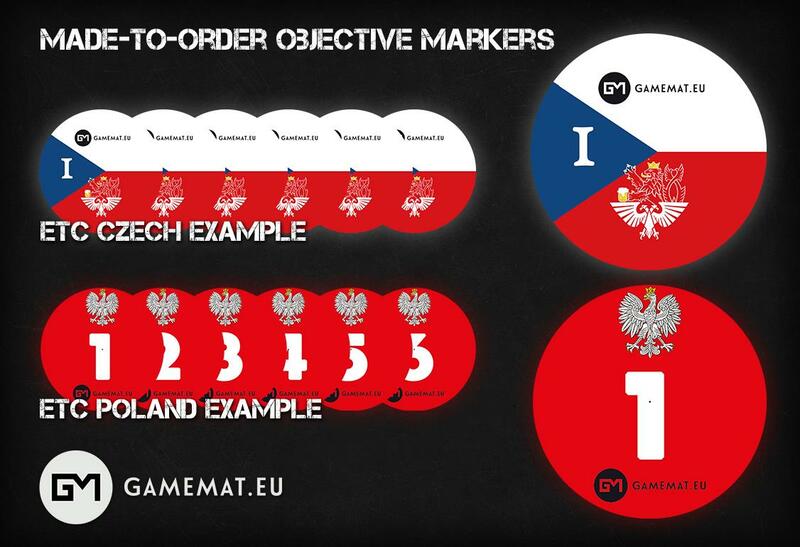 Gamemat.eu bieten nun auch Missionszielmarker an. 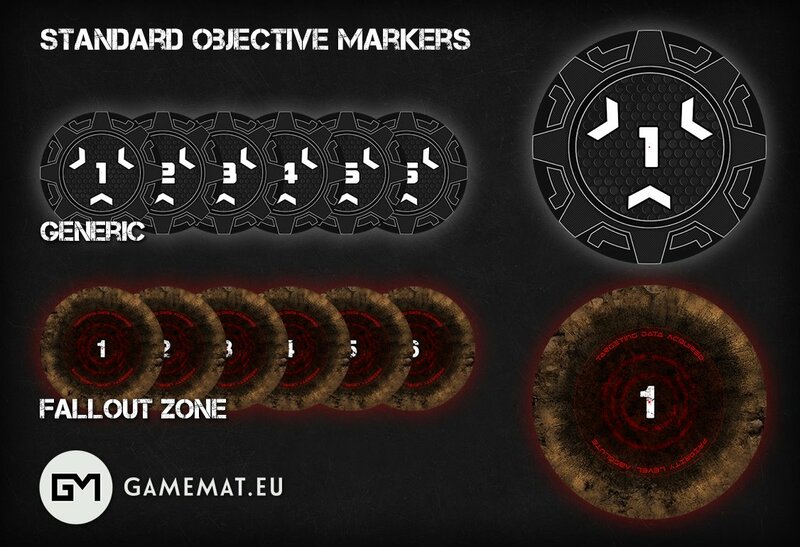 We’re announcing a new line of products, wargaming Objective Markers! Made from the same durable neoprene material as our G-Mats, these markers enable for easier and faster play as you can directly see when a unit within 3″ from the center is controlling an objective. They can also be slipped partially under terrain with ease, without disrupting the battlefield. Deliveries start after 15th of June, 2019. Each set c…ontains Objective Markers numbered from 1-6, each of 6″ diameter.